1. Thinking a few days is enough: Preparing to take job tests can take longer than you expect. In fact, it may be a good idea to start practicing for the standard types of tests (i.e. abstract reasoning, verbal and numerical reasoning) already now to ensure you are fully prepared when it comes time to take them, even if you don’t have a specific employer in mind yet. 2. Assuming your skills / knowledge are enough: Even if you are exceptionally talented at math, you may still not have the experience or practice to succeed at numerical reasoning tests. One issue is that straight calculations do not take into account the “reasoning” part of the test – using the facts at hand to arrive at a logical answer. So even if you are a math whiz it can certainly be advantageous to take practice tests prior to the real thing. 3. Rushing the process: Posting a competition, sifting through CVs, interviewing, testing, re-interviewing, and hiring may be a long process. In the meantime, you are sitting around without a job. Keep applying to other positions and continue test practice for future job tests. 4. Too much competition: When someone sees a job they wish to apply for, the first thing that runs through their mind is “so many people will apply for this job, it’s not even worth my time”. Sure, many candidates may apply, but they may not: i) have the experience, skills, education you do, ii) be able to successfully complete the aptitude tests, or iii) have the personal skills to make a positive impression during interviews. You’ll never know unless you try! 5. Focusing on salary: Even though a job may not be “perfect” for you, you may be tempted by a generous salary. This may not be the best approach, particularly if the employer plans on assessing candidates for motivation and aptitude tests. These types of exams will clearly indicate what type of job you are suited for and determine the decision of the potential employer as well. 6. Assuming you’re under-qualified: Being surrounded at the job test by competition with more skills, experience, or education can make you feel like you don’t have a chance, but it is well worth it to hang in there. 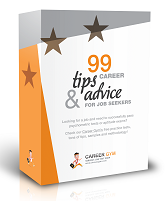 Remember that most employers are focused on finding the “right” candidate, and may prefer someone they can really work with, rather that someone who thinks they already know all they need to know. 7. Ignoring the future: Getting your CV noticed is the first step, likely verbal or numerical reasoning tests will follow. However, it is important to look at the future and be prepared. For example, if you are applying to a law firm you may need to prepare for a panel interview, while if you are working in communications, a written exam may be next. Spend your spare time now preparing and you will be much more relaxed and confident when it is time for the next step. Still lost? Try our FREE psychometric test preparation and start practicing online now!